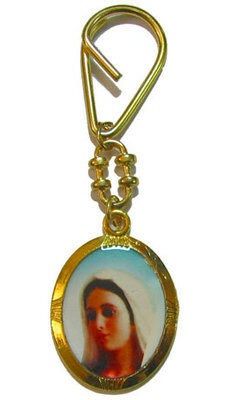 Lovely key ring with the Queen of Peace image on. The keyring has gold tone metal, and is a good weight. Buy Catholic gifts at Rosary Heaven!